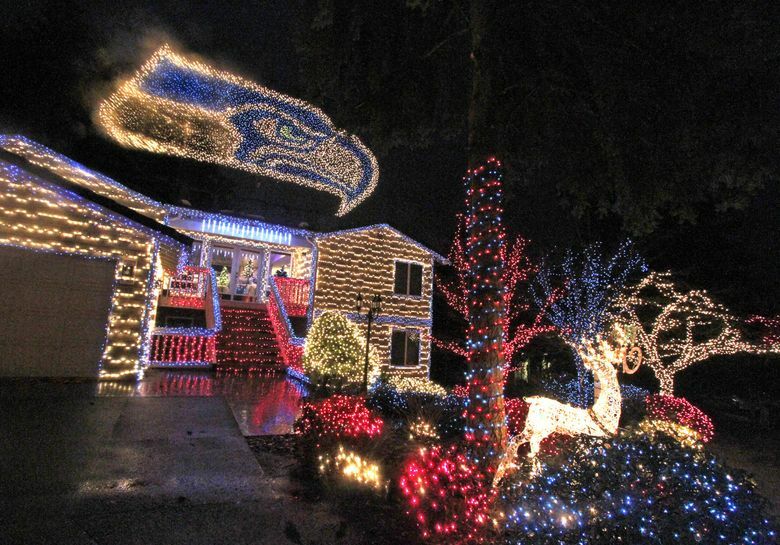 Seattle, Tacoma, Bellevue and more have special displays to light up your holiday season. NOV. 24-JAN. 1 Two-mile, drive-through display of 300 light displays, 5:30-9 p.m. daily, Spanaway Park, 14905 Bresemann Blvd. S., Spanaway; $14/vehicle; $7/half-price Nov. 28-30 and Dec. 5-7 (co.pierce.wa.us/index.aspx? NID=1253). NOV. 25-JAN. 1 Holiday light displays, faux snow and stories in Snowmazium, Santa visits, reindeer, Day Exhibit of reptiles and amphibians and north portion of the Adaptations Building with meerkats, sloths and Indian flying foxes open, carousel, food vendors, beer and wine garden, 5:30-8:30 p.m. Nov. 25-Dec. 23 and Dec. 26-Jan. 1, Woodland Park Zoo, 5500 Phinney Ave. N., Seattle; $7.95-$9.95 (206-548-2500 or zoo.org). 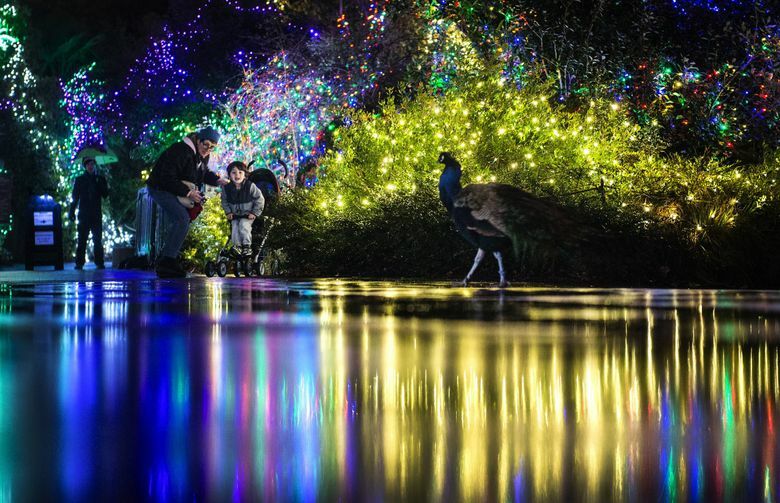 NOV. 25-DEC. 31 Animal-themed light displays, camel rides, carousel, reindeer, Kids’ Zone animal encounters, Aquarium open, 5-9 p.m. daily; closed Dec. 25, Point Defiance Zoo & Aquarium, 5400 N. Pearl St., Tacoma; $5-$10; $8 for current and veteran U.S. military veterans Nov. 28 and 30, Dec. 5, 7, 12, 14 (253-591-5337 or pdza.org). Component post 10214809 could not be found. NOV. 26-DEC. 31 Half a million lights transform the garden into a blossoming winter wonderland, 4:30-9 p.m. daily, Bellevue Botanical Garden, 12001 Main St., Bellevue; $5 ages 10 and younger free (425-452-6844 or gardendlights.com). DEC. 1-28 Displays with a million lights, children’s activities, entertainment, food, 5-10 p.m. Dec. 1-4, 8-11, 15-18, 20-23, 26-28, Warm Beach Camp & Conference Center, 20800 Marine Drive, Stanwood; $11-$16; pay what you can Dec. 1, 8, 27-28 (800-228-6724 or warmbeachlights.com). DEC. 2-JAN. 1 Official lighting, 6:15-8 p.m. Dec. 2; Rainier Yacht Club Parade of Boats, 7:30 p.m.; Argosy Christmas Ship with the Dickens Carolers, 8 p.m. Dec. 2; trees and shrubs decorated with thousands of lights along paved 1-mile trail loop, 5-9 p.m. daily, Dec. 2-Jan. 1, Gene Coulon Memorial Beach Park, 1201 Lake Washington Blvd. N., Renton (425-430-6700 or rentonwa.gov). DEC. 3-JAN. 1 Seattle holiday tradition since 1949, festive decorations and lights, 4-11 p.m. daily, north of Ravenna Boulevard at 21st Avenue Northeast, Seattle. DEC. 10 Luminaria, music along the path around Green Lake, bring a light or candle, 4:30-7:30 p.m., Green Lake Park, 7201 E. Green Lake Drive N., Seattle; food bank donations requested (206-684-0780).